Early February, IBM announced that it will discontinue marketing, sales and support of IBM ILOG Gantt for .NET. Our Gantt control VARCHART XGantt is a perfect alternative to the former ILOG product. Working as supplier of Gantt controls for mission-critical enterprise-class applications for more than 25 years, we are aware of the fact that many planning and scheduling applications typically have a very long lifetime. Hence, the decision to rely this application on an external control is crucial, and never trivial. Typically, software developers expect that those controls that they decided for will be supported minimum as long as they maintain their application. Of course, it relates to the functionality, the feature-richness, and the performance of the component. It also relates to our unprecedented commitment to be a reliable long-term partner to our clients - providing superior support, and maintaining products as long as they are required by our customers. 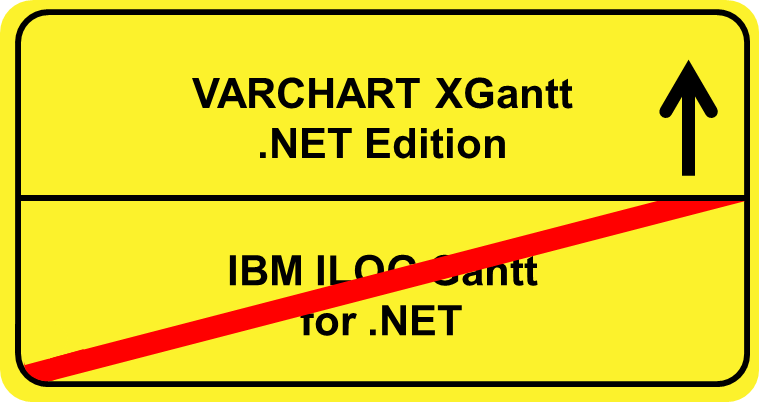 As such, we fundamentally believe that our VARCHART XGantt .NET Edition is a valid (and logical) alternative for those ILOG Gantt partners and customers, who will need to maintain their application well beyond 2014, which marks the end-of-life of IBM ILOG Gantt for .NET. In order to facilitate the migration from ILOG Gantt to our VARCHART XGantt, we are happy to offer a comprehensive migration package. Interested? Curious? Ready to start? Then contact us and ask for our offer to migrate from IBM ILOG Gantt for .NET to VARCHART XGantt .NET Edition.